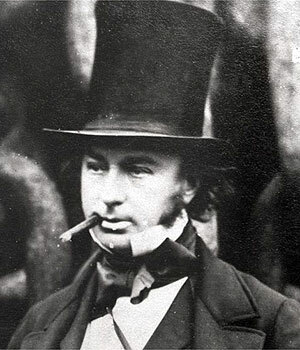 Isambard Kingdom Brunel was born on 9th April 1806 in Portsmouth, Hampshire to eminent engineer Sir Marc Isambard Brunel and Sophia Kingdom Brunel. Isambard was the third child and he had two older sisters Sophia and Emma. In 1808, the Brunel family shifted to London for Sir Marc’s work. Isambard had a happy childhood and was taught drawing and observational techniques since he was four years old and by the time he was eight, he had learned Euclidean geometry. Isambard’s father was a Frenchman by birth and so Isambard was fluent in both English and French. Isambard’s father had encouraged him since he was a child to draw buildings and figure out any mistakes in its structuring. At the age of eight, Isambard was sent to Dr. Morrell’s boarding school in Hove. When Isambard was 14 years old he first joined the College of Caen in Normandy. Later on, he enrolled at Lycee Henri-Quatre in Paris. When Isambard was 15 years old, his father was sent to debtor’s prison. Sir Marc was in the prison for over three months but there was no probability of his release. Finally, the government intervened fearing that they will lose an excellent engineer and Sir Marc was released. Before his imprisonment, he had been considering an offer from the Tsar of Russia but the British government cleared his debts on the condition that he will remain in Britain. After finishing his studies at Henri-Quatre in 1822, Isambard studied under a prominent master clockmaker and horologist Abraham-Louis Breguet. Brunel completed his apprenticeship in late 1822 and came back to England. Isambard worked for many years as an assistant engineer on a project to construct a tunnel under River Thames. 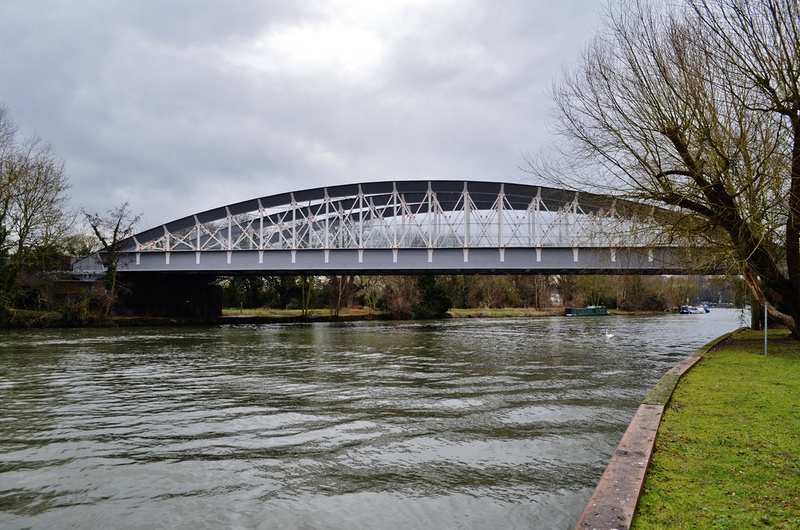 Sir Marc was the chief engineer of the project funded by the Thames Tunnel Company. The work of building the tunnel was stopped for a brief period in 1828 as there were two accidents at the site owing to severe flooding where Isambard injured himself badly, the death of some workers and senior miners, and Sir Marc escaped death. 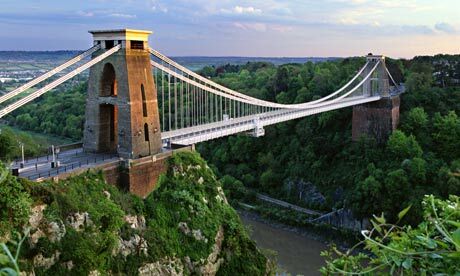 Isambard designed many bridges like Royal Albert Bridge designed for Cornwall Railways in 1855, the Windsor Railway Bridge and the Maidenhead Railway Bridge but Isambard became famous and is remembered for the Clifton Suspension Bridge in Bristol. The work of Clifton began in 1831 but was stopped for some time owing to riots. The work again commenced in 1862 and was completed in 1864, after Brunel’s death. 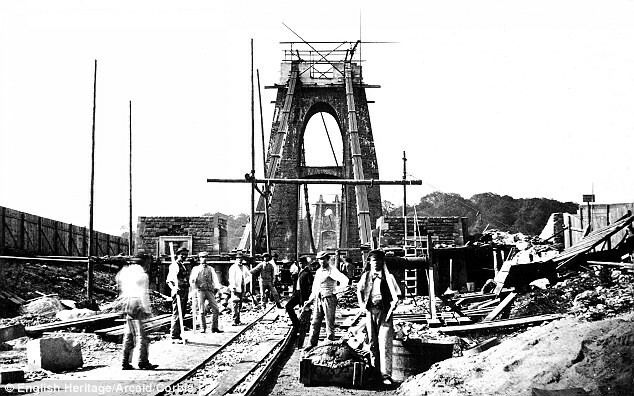 Isambard in his entire career but predominantly in the case of South Devon and Cornwall Railways used wood for constructing substantial viaducts but were replaced as the core material namely Kyanised Baltic Pine had become very expensive. Isambard was the chief engineer of the Great Western Railway in 1833. For the construction of the railway, Brunel used broad gauge for the track. Isambard believed that broad gauge would enable superior running of the trains at high speeds. At that time, the use of broad gauge was looked specifically by people as standard gauge was normally used. The Great Western had specially designed stations and tunnels like the Box tunnel which was at that time the longest railway tunnel in the world. Brunel’s achievements made him one of the most famous men in the country. Prior to the opening of the Great Western Railway, Isambard in 1835 had suggested that the transport network of the railway be further expanded by using the sea-route from Bristol crossing the Atlantic Ocean and finally reaching New York and so the Great Western Steamship Company was established. The biggest concern during the building of the Great Western was whether it is capable of enduring long journeys only with the help of steam. Isambard designed the ship and after it was built, it was the longest ship in the world. Wood was primarily used for constructing the ship but Isambard also added bolts and iron diagonal reinforcements to maintain the strength of the keel. Also added to the steam powered paddle wheels were the four masts for sails. The first journey of the Great Western was from Bristol to New York in 1838. The Great Western was a commercial success and a need was felt to design another ship which was again designed by Brunel. The Great Britain was launched in 1843 and is considered the first modern ship that is built with metal and not wood. This ship had an engine and was driven by a propeller. Great Britain was the first ship that was iron-hulled, propeller driven and which sailed across the Atlantic Ocean. The third ship designed by Isambard, which was larger than the previous ships was the Great Eastern. The ship was built with an intention to have continuous long journeys and which had the ability to carry on board around 4000 persons. Great Eastern was the largest ship till the end of the century. This ship was built at John Scott Russells Napier Yard in London. Isambard married Mary Elizabeth Horsley in 1836. Mary was the daughter of composer and organist William Horsley. Together they had three children. During the Crimean War, Isambard agreed to design and build the War Office and a pre-fabricated hospital. He designed and built these within a span of five months. His designs provided the essentials like hygiene, access to sanitation, ventilation and improved sewage system which drastically reduced the number of deaths. Isambard suffered a stroke in 1859 before the Great Eastern could sail for its first journey. He died ten days later at the age of 53 years and was buried in Kensal Green Cemetery in London. Isambard’s designs brought about major changes in the public transport and modern engineering. He was thus the leading engineer of his time who will always be known for his innovative ideas and designs.